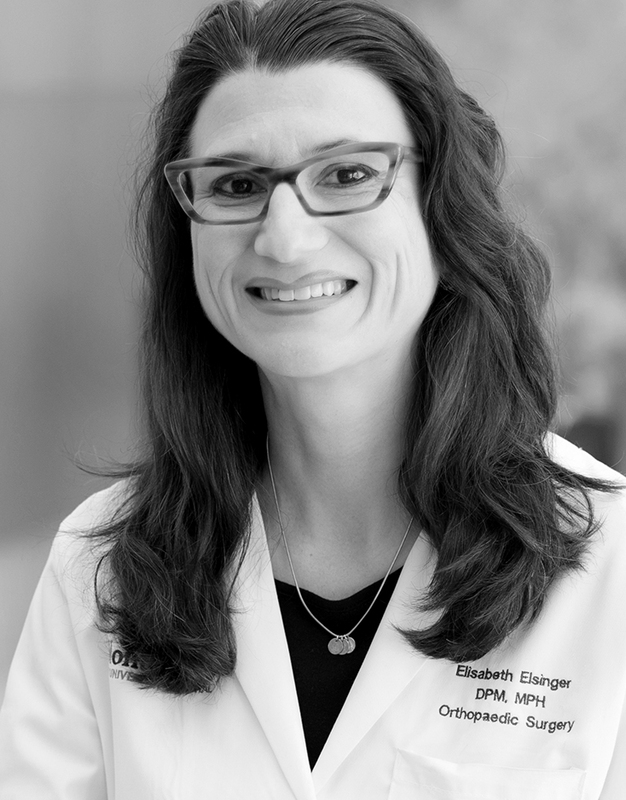 Elizabeth C. Elsinger, DPM, MPH, FACFAS, is a board certified podiatrist specializing in foot problems and injuries at Montefiore and an Assistant Professor at our Albert Einstein College of Medicine. Dr. Elsinger received her medical degree from Temple University School of Podiatric Medicine. She completed her residency at Hoboken University Medical Center, Hoboken, NJ, and her fellowship at Capital Area Health Consortium, Farmington, CT, with the following sponsoring institutions: New Britain General Hospital, New Britain, CT; Yale New Haven Hospital, New Haven, CT; Veterans Affairs Medical Center, West Haven, CT; and Georgetown University Hospital, Washington, D.C. In addition to her clinical work, Dr. Elsinger conducts research focused on the second metatarsophalangeal joint, second toe instability and plantar plate pathology. She is very involved with teaching residents and was awarded “Teacher of the Year” by the 2015 chief residents. Dr. Elsinger is fluent in German.